If you hired a contractor to do work on your Florida home and have since discovered that he or she has filed a mechanic’s lien on your home for non-payment, we understand that you may be feeling confused and at a loss as to what to do. Whatever your reason for not paying the contractor might have been, a mechanic’s lien is usually not the way to solve the issue. Usually, a mechanic’s lien is not effective unless you try to sell your home or profit off your home in some way. Also, a mechanic’s lien becomes void after 90 days if the contractor fails follow through with the lien—meaning, he or she fails to file a lawsuit for non-payment. However, just because a lien becomes void does not mean that you are no longer susceptible to its powers. If you want to remove a lien from your property, you need to do one of two things: 1) have the contractor record a release of the lien or 2) file an appeal to have the lien released. 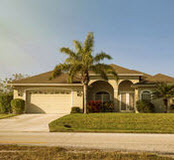 At the office of Edward J. Jennings, P.A., our Fort Lauderdale real estate lawyers can advise you on what to do if a mechanic’s lien is placed on your home and how you can go about removing it. If you hope to have the contractor release the mechanic’s lien on your home, there are specific steps you need to follow. First, you need to notify the contractor of your intent to appeal, which you can do in one of the following ways: 1) Mail via certified, express, registered, or overnight mails; 2) personally delivery; 3) leave the notice at the contractor’s home or business with an adult person and mailing a second notice to the same address regarding the first notice. Once a notice is delivered, the contractor has ten days to respond; if the contractor either refuses to release the lien or doesn’t respond, you can file a petition. If you decide to file an appeal with the courts, it is imperative that you understand the laws and how the process works. Because the process takes about 30 days on average, there is not much time for most homeowners to brush up on real estate law. For this reason, it is always best to hire a knowledgeable real estate attorney who is armed with the knowledge necessary to make a case on your behalf and get the ball rolling. After the hearing, the judge has another 30 days to make a decision. If the judge makes a decision in your favor, the lien will be released and you can then proceed to seek reimbursement for your attorney fees. Do not forget to file the judge’s order for the release with your county recorder’s office, as that is the office that keeps all records of homes in your area. If you have been served with a mechanic’s lien and if you would like to remove the lien from your home, you need to act fast. Reach out to the Fort Lauderdale real estate lawyers at the office of Edward J. Jennings, P.A. to begin the petition process today.